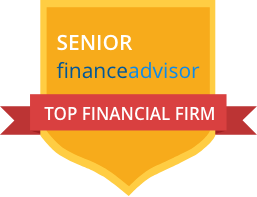 We strategically compiled top financial advisory firms in the New York City area to not only save you time, but also help you find a knowledgeable, local financial advisor. These top financial advisory firms in New York were carefully selected based on the firms who manage the most, and largest, client accounts — known as assets under management (AUM) — and also the firms who have the most recommendations and highest reviews. This list of top financial advisors in New York can help you narrow your search and give you peace of mind that you’re hiring a capable, reputable financial professional. Silvercrest Asset Management is a registered investment advisor known for putting their clients first. The financial advisory firm was founded in 2001 in New York and has managing directors with over thirty years of wealth management and financial planning experience. Silvercrest Asset Management handles issues including business succession planning, estate and tax planning and investing for retirement. The New York financial advisory firm also works with family foundations and endowments and helps clients diversify from concentrated stock holdings or privately held assets. With an impressive more than $21 Billion in assets under management, the firm has earned a reputation of trust with families across multiple generations as well as with individual and company investors. Each Silvercrest senior portfolio manager is a shareholder in the firm to add extra incentive for advisors to perform for their clients. The firm also regularly conducts peer reviews to ensure that clients are receiving the best possible financial advice. The New York office opened in 2002 and posts quarterly economic commentary and seasonal market and economic insights monthly. Requires a $0 minimum investment. Tiedemann Advisors has been in the financial space for almost 20 years and was founded to address the ways the services provided by traditional investment management firms and trust companies typically fell short, such as putting the clients’ needs first and offering a myriad of offerings for unique financial situations. The firm is a New York-based independent national wealth advisor that is trusted by many clients, and has offices across the United States. Tiedemann Advisors is 100 percent privately owned and has become one of the largest independent Registered Investment Advisors (RIAs) in the country that offers a broad set of services. The team of expert financial advisors works across many specialties to offer comprehensive, objective advice and a partnership they feel their clients deserve with their fiduciary services. The firm uses a trusted custodian and there is one licensed advisor for every six clients, which is significantly lower than the average. Tiedemann also requires a $0 minimum investment, which is a benefit to many investors who want to start investing but don’t have large sums of money. Requires a $0 minimum investment and charges 1.25 percent for ongoing portfolio management services, depending on the size of the portfolio. Brownson, Rehmus & Foxworth has provided independent investment advice and financial counseling firm for clients since 1969. The firm federally registered in 2014, is a registered investment advisor in 21 states with a licensed staff of 47 advisors. The firm manages $11 Billion and provides investment advisory services for 947 clients. They pride themselves on “advising clients on all aspects of their lives that have financial implications.” They customize their advice and services based on each client’s individual goals, needs and circumstances and they boast that their “objectivity, expertise, comprehensiveness and close-working relationships” give their clients trust. Brownson, Rehmus & Foxworth use a transparent fee-only model, a trusted custodian and have a good client-to-advisor ratio with one licensed advisor for every 21 clients (in an industry where the average is 1 advisor to 50 clients). Management fees typically vary from 0.15 percent to 1.00 percent of assets under management. Mercer Global Advisors federally registered in 2008 and is a registered investment advisor across the United States. Their founder, Kendrick Mercer started the firm as a law practice in 1985 to work with clients to give them the best service possible and deliver economic freedom so “they don’t have to worry about money.” Mercer Global Advisor’s New York office has been helping clients with their finances for over 25 years. The firm follows the fiduciary standard to put clients’ needs and interests first, and they have been successful for over 30 years helping families navigate their financial needs from starting out in life and building financial portfolios to enjoying retirement. Mercer Global Advisors uses a transparent, fee-only model and a trusted custodian. The annual management fee for ongoing portfolio portfolio management services is negotiable. RMB Capital Management has been servicing clients in New York since 2005. The independent, employee-owned firm focuses on helping clients find solutions to their unique financial needs through wealth management in addition to helping clients manage investments through asset management and retirement planning strategies. RMB Capital Management was recently named by Barron’s magazine as one of the “Top 40 Independent Advisory Firms” in the nation. Their investment strategy is centered around “taking a long-term view, conducting fundamental analysis, being opportunistic yet disciplined and avoiding unnecessary risk,” its website explains. RMB Capital Management offers an “open architecture” model, which means their clients’ assets are managed both internally and externally. RMB Capital Management charges a blended rate between 375 percent and 0.5 percent for ongoing portfolio management services, depending on the size of the portfolio. Evercore Wealth Management is a global financial firm that provides financial advisory, wealth management and trust services on a fee-only basis to investors, families, banking institutions and a variety of companies and corporations. New York, New York is the financial advisory firm’s headquarters. Evercore has approximately 1,700 employees and has advised on more than $2 Trillion of announced mergers and acquisitions (M&A) transactions since they were founded in 1995. Evercore Wealth Management primarily offers investment management services to high-net-worth clients, as well as their associated trusts, estates, pension and profit-sharing plans, endowments, foundations, charitable organizations, insurance companies, trust companies and other affiliated entities. Though the firm’s account minimum is relatively high at $5 million, its current client roster also includes some individual investors who fall beneath the high-net-worth threshold, which the U.S. Securities and Exchange Commission defines as someone who has at least $750,000 under management. In addition to helping clients, Evercore is known for helping their local communities through an Evercore Volunteers program and taking care of their employees in need through the Evercore Disaster Relief Fund. Requires an account minimum of $5 million, but negotiable on an individual case-by-case basis. KLS Professional Advisors Group federally registered in 2004, uses a transparent fee-only model, a trusted custodian and has over 6 Billion in assets under management. The investment advisory firm in New York focuses on the “KLS Advantage” which focuses on comprehensive advice and expertise on all aspects of financial affairs, unbiased solutions that serve the clients’ best interest and follow through to implement financial strategy and decisions. The New York office opened in 1989. Wetherby Asset Management was founded in 1990 and takes a research-driven approach to investing. The firm has 20 individual owners, 16 of whom are employees of the firm and their in-house research team is responsible for evaluating asset classes and making strategic recommendations on investment strategies and vehicles. Wetherby’s New York office has been helping clients manage their finances for over twenty years. The financial advisory firm focuses on portfolio management and wealth planning; services that it customizes to individual client needs and objectives. Wetherby advises clients on a wide range of topics, including asset allocation, manager selection, cash flow analysis, tax and estate planning, intergenerational wealth transfer, impact investing, retirement planning, philanthropic planning, education funding, insurance analysis, equity ownership and stock option advice and tax efficiency. At Wetherby, wealth managers are typically required to have a professional license, advanced degree or a certification, such as a Certified Financial Planner (CFP), Certified Public Accountant (CPA) or Chartered Financial Analyst (CFA). Wetherby uses a transparent fee-only model and uses a trusted custodian. Our goal is to connect you with the best financial advisors in your area. We have helped thousands of New Yorkers find top local financial advisors by narrowing their search to the firms that meet their unique needs. Use the firm information above to help you find an advisor for you. Remember that financial advisors should be able to directly answer your questions with detailed, documented proof of their fee structure, standards, code of ethics and policies. This list of top financial advisor firms in New York can help you find an advisor who not only meets your unique needs, but also gives you financial confidence for a successful future. Remember that your retirement portfolio and assets are one of the most important investments you’ll ever make, so you want to choose a financial advisor who is right for you and your financial goals.